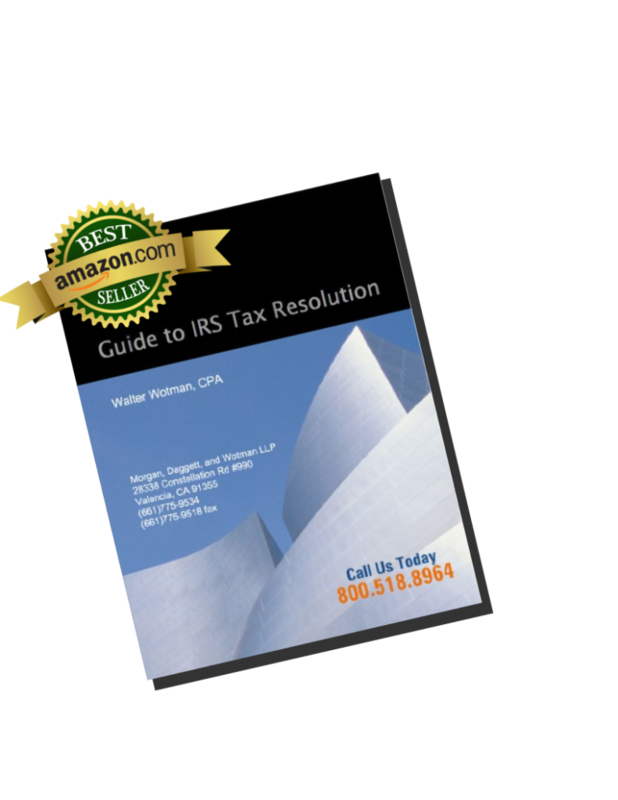 Download Walter Wotman’s Free Guide to IRS Tax Resolution. "Tax Champions Guide to Tax Resolution. "Amazon #1 Best Seller in the Personal Finance category. clients settle their difficult tax issues. Our guide to IRS tax resolution is filled with commonly used forms and procedures as well as clear explanations and answers to the most common IRS problems. If you want to learn more about working out problems with the IRS before you call Tax Champions, then download our guide free of charge today! Enter your information on the form below to download your free pdf copy. Tax Champions’ qualified team of experienced CPAs, Enrolled Agents, Tax Attorneys and Certified Tax Experts will represent you or your company before the IRS. With over 30 years of successful tax resolution experience behind us we know what it takes to get results and how to solve difficult tax problems. Don’t put off dealing with the IRS. Get expert help to resolve your tax issues. Put Tax Champions 30 years of successful tax experience to work for you today.